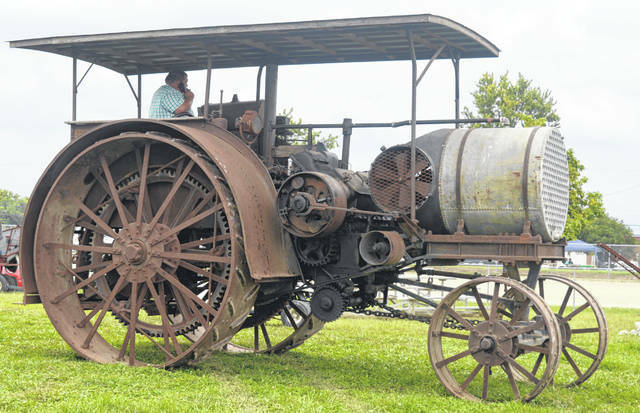 Antique farm equipment is one of many things the Corn Festival is known for, and this relic is a striking example of a farm machine that has survived from an earlier time. 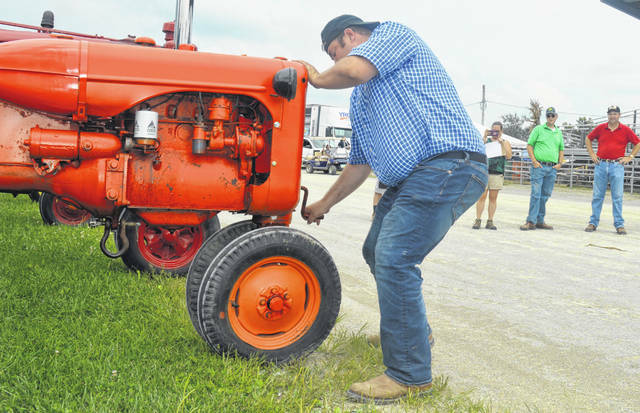 Scott “Scooter” Milner, foreground, tries his hand in the Corn Festival’s tractor hand-crank contest Friday. It started right up. 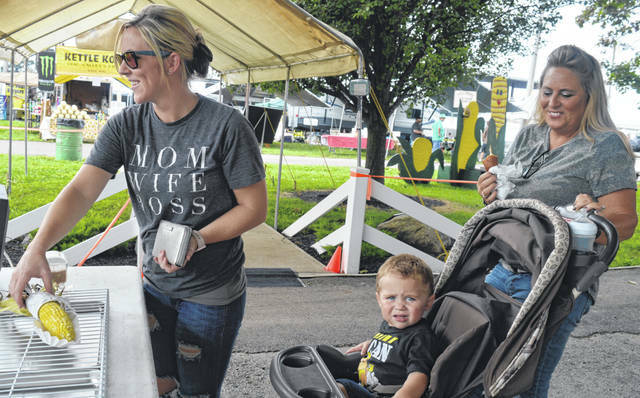 Chelsea Woodruff of Sabina, left, buys an ear of roasted sweet corn at the Boy Scout Troop 154 location on the Clinton County Fairgrounds. She got it for her son, Cohen Woodruff, 2, while grandmother Teresa Earley holds a corn dog and stands by. 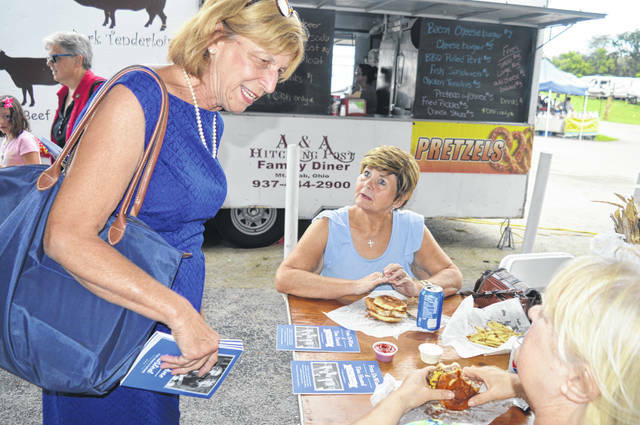 Fran DeWine, left foreground, was at the Clinton County Corn Festival Friday distributing recipe booklets and talking up her husband, Mike DeWine, who is the Republican nominee for governor of Ohio. Seated at lunch are Bonita Lightner and Wilma Purdin, both of Hillsboro. 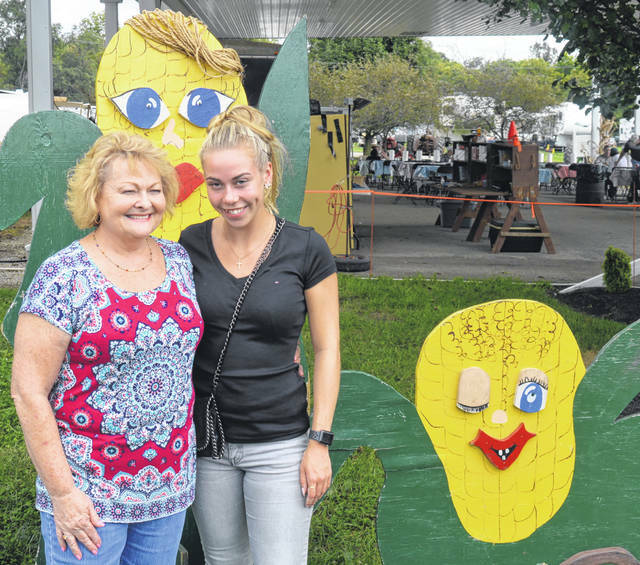 Laura McGuire, left, accompanies former Clinton-Massie foreign exchange student (2012-13 school year) Loa Mortensen at the Corn Festival. McGuire and her husband Gregg were the host parents of Mortensen. 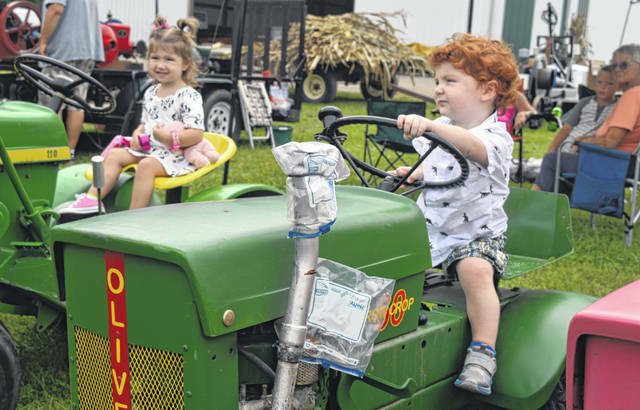 From left in the foreground, Lillian Liming and Mitchell Brotherton will both turn 2 next month and they are cousins. Another thing they apparently have in common is they like being in the driver’s seat of a tractor. 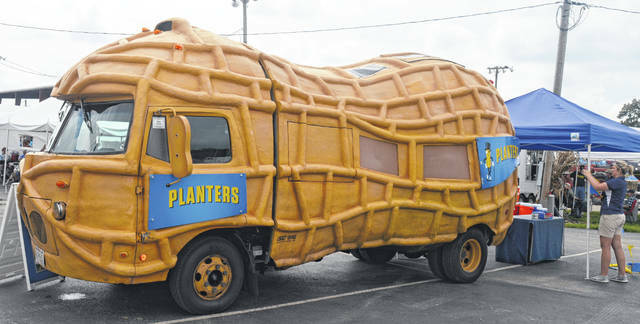 They were at the Clinton County Corn Festival Friday afternoon along with lots of other country and city folk. The festival continues through Sunday.